UNSB SIGNS AN MOU WITH UNIVERSITY OF SCRANTON. 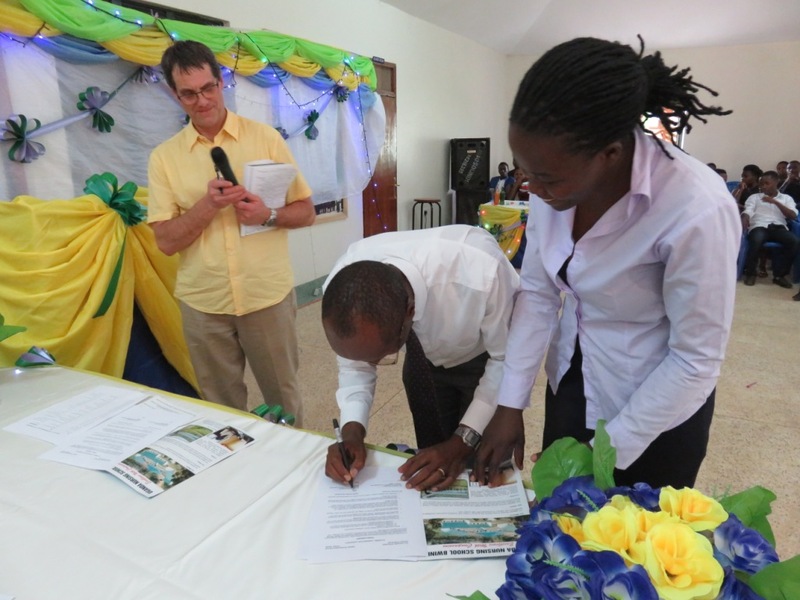 Dr. Birungi Mutahunga signing an MOU as the School principal Jane Anyango looks on. We recently on 11th March 2017 graduated 36 top notch nurses and midwives who are now working in Uganda and particularly with rural communities in Uganda. The graduates are reported to be very skilled and knowledgeable and pass the registration interviews with the nursing council highly. Above all the graduates from UNSB are able to apply both sonography (obstetric ultrasound) and nursing or midwifery skills to save lives and improve on health. UNSB considers all students and treats them equally including those from the marginalized groups like Batwa pygmies trains them and builds the culture of health workers in them. No wonders the graduates are able to perform beyond expectations in the villages. We are happy that our very first graduation was graced by the First lady who is also the minister of Education and sports. She pointed out that health workers need to put the health of patients first. Click to view more graduation ceremony pictures in our gallery. 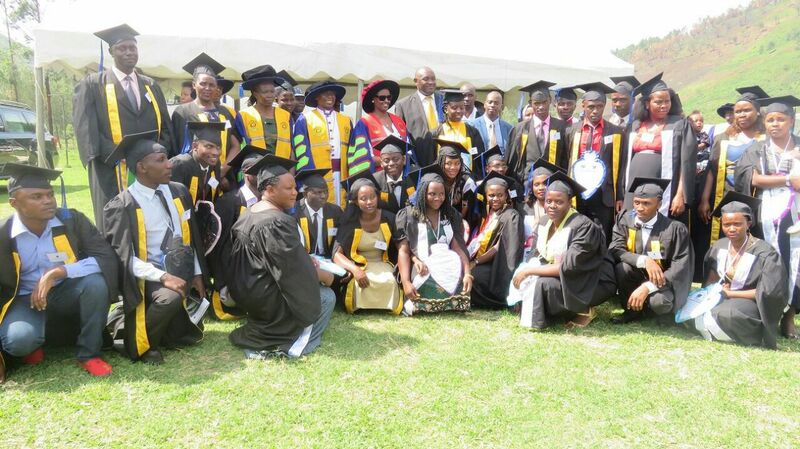 The First lady and the Bishop of Kinkiizi Diocese standing with UNSB's first graduates. Prior to Uganda Nursing School Bwindi’s (UNSB’s) launch, a high-level nursing education program was greatly needed in south western Uganda. Health workers are exceedingly scarce, as elsewhere in sub-Saharan Africa, and the burden of health care delivery typically falls to a cadre of trained nurses. Operating alongside Bwindi Community Hospital, it was envisioned that this nursing school would be the premier nursing school in south western Uganda. Read More..
Uganda Nursing School Bwindi located in Bwindi Kanungu district wishes to inform all interested students that have completed senior Six, and senior four that we are now officially receiving applications for the May and September 2017 diploma and certificate program intakes respectively. Senior six leavers must have a principal pass in either Biology or Chemistry, while senior four leavers must have passed all their science subjects inclusive of maths and English. We are also receiving applications for the Diploma extension Program in midwifery and nursing. Applicants must have certificates in their respective courses with a two year working experience. The training is assisted by digital technology and each student is given an Ipad or kindle as a learning aid.